Jimmy Jib: The modular nature of the Jimmy Jib camera crane means it can be quickly built from 6ft to 30ft in length, making it great for getting to places other camera cranes cannot. JimmyJib Italy is based out of Italy Umbria Perugia Terni Tuscany Florence Siena Arezzo Grosseto Livorno Pisa Pistoia Lucca Prato Massa Carrara Marche Pesaro Urbino Macerata Ancona Fermo Ascoli Piceno Abruzzo L'Aquila Teramo Pescara Chieti Emilia Romagna Rimini Forlì Cesena Ravenna Bologna Lazio Viterbo Rieti Rome Lombardy Milan Piedmont Turin Liguria Genoa Veneto Venice owned and operated by Mauro Comodi. 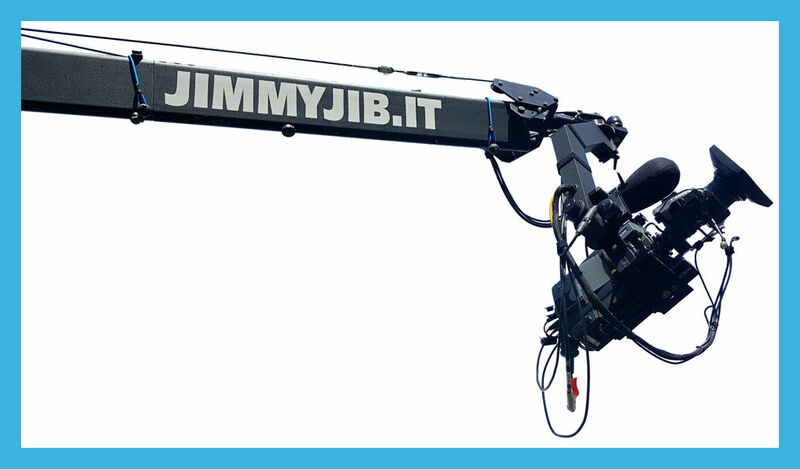 Jimmy Jib Italy is the ultimate and exceedingly reliable jib and camera operating company. We have the crew, equipment, and the dynamics to provide a smooth work environment to create high quality productions. Supply and operate Jimmy Jib equipment on commercials, drama, documentary, promos, idents, music & light entertainment productions throughout Europe. Stanton services Jimmy Jib Triangle has become the industry standard remote camera crane for the past twenty-five years. 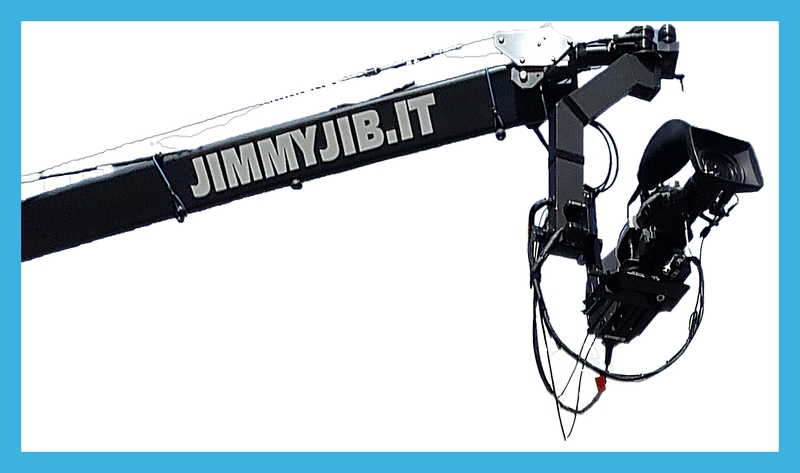 JimmyJib Italy provides the perfect sized cranes for any type of production from feature films, commercials, music videos, reality shows, and concerts, to sports, corporate, and political events. Our systems support all types of connections including HD, 4K, etc. 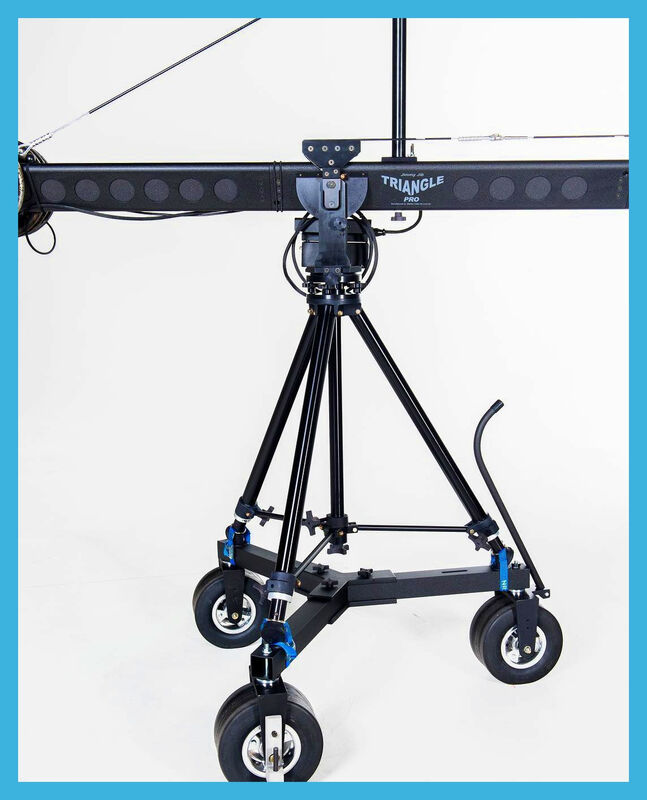 Particularly, the Jimmy Jib Triangle is our most popular portable crane for television and film camera support. 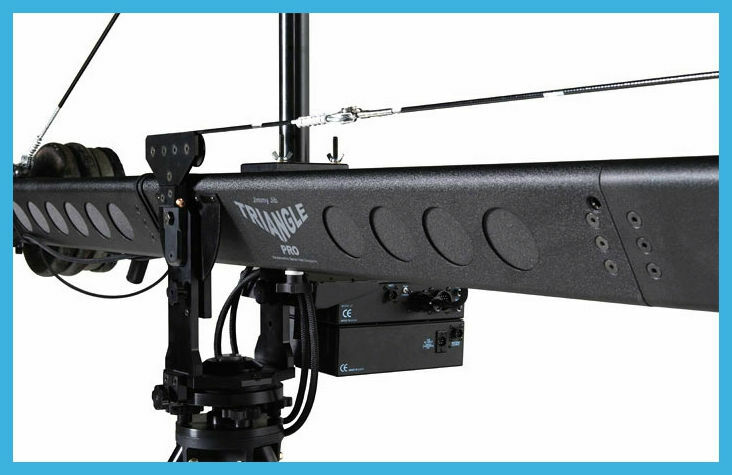 The Jib Triangle is available in sizes from 6 to 33 ft. with professional Jib Operators, tech crews and 24/7 on-site support that you can rely on. Our 24/7 commitment guarantees that we are available to respond to each and every request. We pride ourselves in our returning business. JimmyJib Italy is an elite company that is diversely talented to support the modernizing demands of today's media industry. 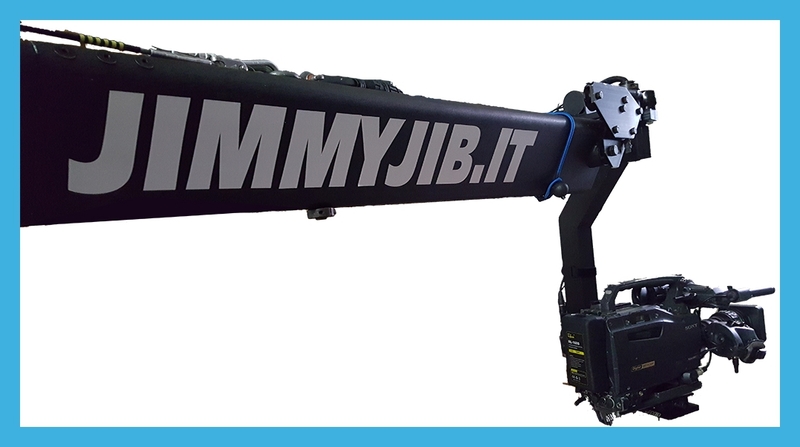 Jimmy Jib Italy was created in 1996 by Mauro Comodi. It is dedicated to providing dynamic imagery for the motion picture industry (feature films and commercials) and broadcasters, top quality partner to the film industry and the world’s leading sports events. Jimmy jib Italy is known to provide in the shortest time the shots as cinematographers and TV directors imagined them, with its team of trained professionals capable of contributing to any project with a top priority mission: satisfy the needs of the production in a professional and efficient manner and providing the best footage ever. The best way to prove her efficiency and know how would be to list the numerous references in those various fields. To do so, Jimmyjib Italy provides different aerial systems. To get the best quality shots, you may use different camera HD 1080i, 720p, SD camera. We can provide the Jimmy Jib Triangle Stanton Extreme in Italy, Montecarlo, San Marino, Switzerland, Austria for TV Commercials Infomercials Corporate Videos Movies & Film Music Videos Event Coverage. Being one of the tools that accompany with the cameras used in many areas like movie shootings, live broadcasts, Jimmy Jib is the name of the system which carries the camera. Since it was designed as being inspired by fly eyes, it has the feature of moving quickly. The flies can suddenly change their route while flying through a point, and then begin to go in a different direction. The situation in Jimmy system consists of the design that can go in a different direction suddenly, which is very similar to the fly movements. There are an enormous mechanism with which we are familiar from live broadcasts and a kind of camera on the top of it. These cameras move so fast that they can begin to record suddenly from a different point like the flies. Of course there has been a system that provides cameras to come to these days. And this system is Jimmy Jib. How did Jimmy Jib Technology show up? Jimmy Jib is a kind of system which has shown up by that the audiences got bored from the same scene shootings and began not to watch the shootings anymore. Having an old history, this product has provided to make it attractive by shooting even the most boring scenes from different angles for the people who got bored from looking at the same point for hours. Having impressed people by shooting from different angles these tools are getting presented with different features and different kinds. Revealing itself on movie sector for the first time, these products have become preferable in many areas like live broadcasts, music videos, documentaries and many other areas. Jimmy Jib products are being produced in different styles according to its intended purpose when shooting. For example, while the fixed Jimmy Jibs are being used at small places on live broadcasts; for the movie or music video shootings, the movable ones are being preferred. Having changing sizes according to every places, these products provide capturing picture from very high. Besides providing capturing a general picture due this feature, it makes the shootings more attractive by capturing the distance-based changes, too. As a result of hanging a tall part from the top of a system that has feet, the part that will be moved will be formed. A robot hood is added to the top of tool looking like a fishing hook, and then the camera is fixed on it. As if the rope of fishing hook is extending, the body, also called middle part, can extend during shooting. Along with the extendings, these tools are produced to extend up to 7,9, 12 and 30 meters. Since the top part that the camera is placed on, can bend because of the weight of camera; some counterbalance will be put on its opposite direction not to cause it bend. So, the camera gets moved more easily. For different shooting options like zooming in or out during the shootings, some engines are placed on the camera. By means of this engines, the pictures of the camera can be also adjusted. These tools called Jimmy Jib became one of the irreplaceable ones of the shooting world since it provides the opportunity to capture more quality pictures while shooting. The facts that it can shoot from any intended direction and capture the images from different angles for it can move so quickly, make the images more realistic. It can be kept in almost every shooting place since it is a kind of tool that is easily portable and installed quickly. Because of presenting more different images to the audiences, it provides the images to be watched much more. Providing the opportunity of shooting professionally, this tool shows its difference because of being adaptable at any place. And because of being controllable and easy to use, the Jimmy Jibs become the essential shooting elements for many sector. The beauty of the Jimmy Jib crane is its versatility; it can be easily transported and quickly rigged in the most extreme locations to allow creative and efficient shooting. The crane can be constructed in a variety of lengths from 6ft to 40ft, and can be built on a variety of mounts/bases to optimise its use indoors and outdoors. We shoot with most broadcast and 4K digital cinema cameras and often use prime, cine zoom and video lenses. Remote focus & zoom control is possible through the Jib and we can also supply wireless follow focus & lens control systems if required. The Jimmy Jib will always come with two crew - a Jib operator and a Jib grip/technician. The basic Jimmy Jib kit includes: Jimmy Jib crane (6-18ft) and remote head 17” HD monitor 9” TX monitor All-terrain 3-wheeled base Focus, zoom and iris control for Canon and Fujinon TV lenses. The Jimmy Jib Extreme kit includes: All the above plus additional sections and cables to build 21ft, 24ft and 30ft lengths.